toasTEA travel infuser (blush); a Adagio Teas toasTEA Double Wall Stainless Steel Insulated Travel Mug and Infuser, 17 oz. An excellent gift ideas for tea traveler, you can take it ANYWHERE. 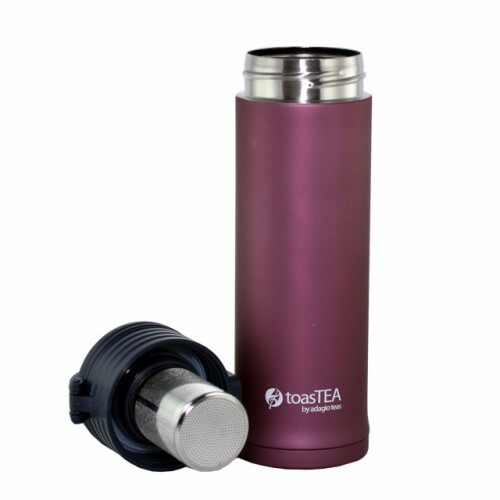 Made your favorite tea and bring it to work with this toasTEA travel mug, it keeps your favorite teas hot for several hours. We carry the beautiful blush color version, please see pictures for detail. 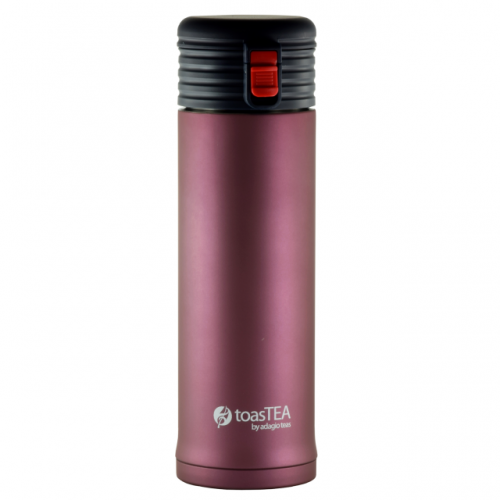 With this travel mug, every sip of your teas like a fresh cup of tea.